Building electronics kits, shortwave and Ham radios in high school convinced Floyd Henson to pursue a profession in the electronics field. After visiting several universities, he chose the University of Kentucky. Mr. Henson cites several reasons for choosing UK, but the one that stood out most was that a new engineering building was about to be constructed, one that would contains several new laboratories. While at UK, Mr. Henson got his first hands-on experience with designing and building electronics when he spent two years as an electronics research technician for the NIEHS Addiction Research Center in Lexington. After graduating in 1970 with a bachelor’s degree in electrical engineering, Mr. Henson attended the Engineering Research Center at Princeton University and subsequently entered the computer engineering and communications field that would encompass his life’s work. He accepted an electrical engineering position with Bell Telephone Laboratories/Western Electric and worked in the early days of minicomputers, Unix and the transition to microprocessors. 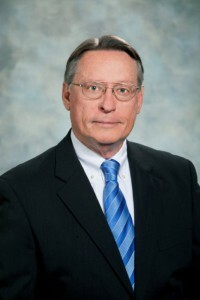 In 1977, Mr. Henson became vice president and chief technologist at Col-Ins-Co. With clients such as AT&T, the Environmental Protection Agency, Bendix, DuPont, GE and others, Mr. Henson incorporated processing and intelligence capabilities into process control instrumentation, test equipment and air monitoring equipment. At Col-Ins-Co, he also began what would become a permanent switch from engaging in engineering research to management. The son of an entrepreneurial father who owned coal mines in eastern Kentucky, Mr. Henson founded Veytec, Inc., as a startup within Col-Ins-Co. After five years of maintaining his responsibilities and running Veytec, Mr. Henson became the full-time president and CEO of Veytec. Veytec is a leading provider of networking security and storage solutions in the southeastern United States to businesses as well as state and local governments. Veytec provides comprehensive voice, data and video solutions that optimize the way companies communicate. It partners with top companies such as Cisco, Dell, Microsoft, IBM, HP and others to offer the most advanced products available coupled with superior customer service. Among its accomplishments, Veytec designed, built and deployed Unix servers and communications in over 3,500 truck stops and designed and implemented the communication network for over 5,000 auto parts stores. Mr. Henson has led the company since 1982, spurring the company to explore the latest in network performance, cloud storage, data center infrastructure, security, visualization and more. In the process, he has won numerous awards, including the 1978 Intel Developer of the Year, the 1988 Digital Equipment Corporation (DEC) Design Partner of the Year and the 2004 Cisco Systems U.S. Partner of the Year. He was co-developer of the S-100 Bus, which became IEEE 696. Mr. Henson presently serves as chairman of the UK College of Engineering dean’s advisory council and serves on the Comptia advisory board. He previously served on advisory boards for Cisco, where he was chairman, Motorola Codex, SCO, DEC, Racal Vadic and others. Mr. Henson lives in Orlando, Fla., with his wife, Cheryl. They have three children, Jennifer, Patrick and Benjamin.